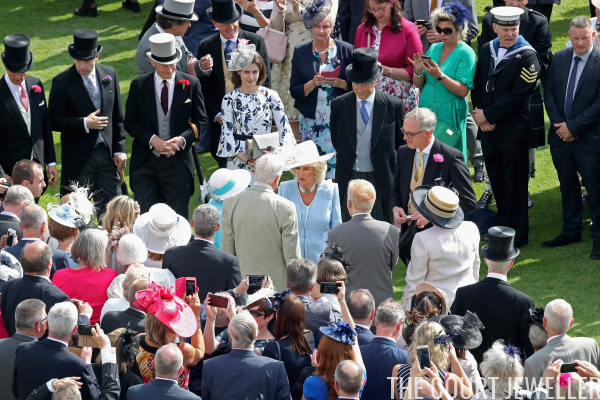 The Windsors held a garden party at Buckingham Palace on Tuesday, and several royal ladies -- and one dapper royal gentleman! -- wore accessories worth seeing. 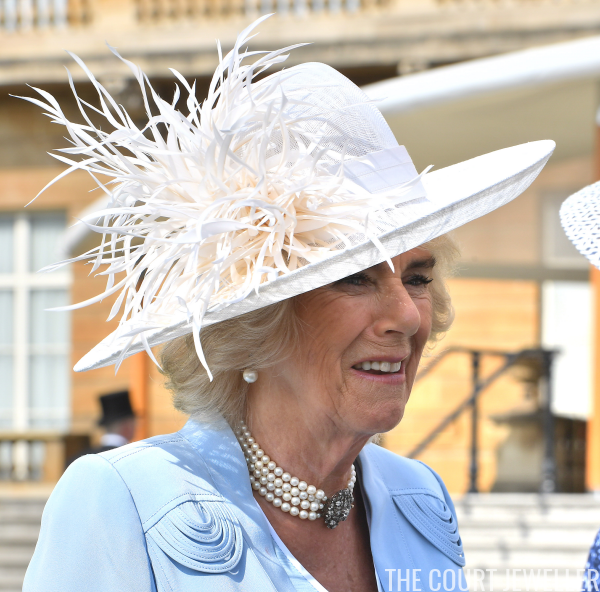 The party was attended by numerous royals, including the Prince of Wales, the Duchess of Cornwall, the Princess Royal, the Duke and Duchess of Gloucester, and the Duke of Kent. 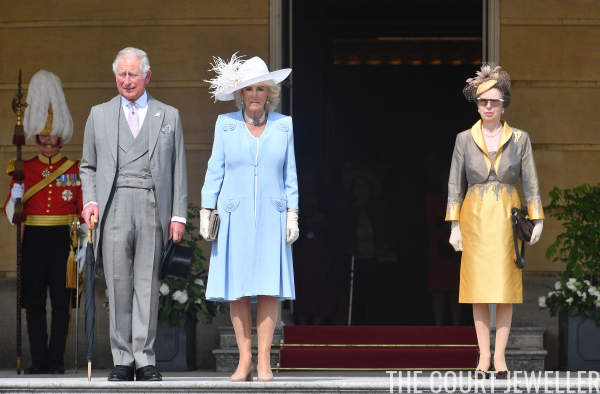 Camilla wore staple pieces from her jewelry box: her diamond and pearl drop earrings plus her pearl necklace with the large diamond clasp. 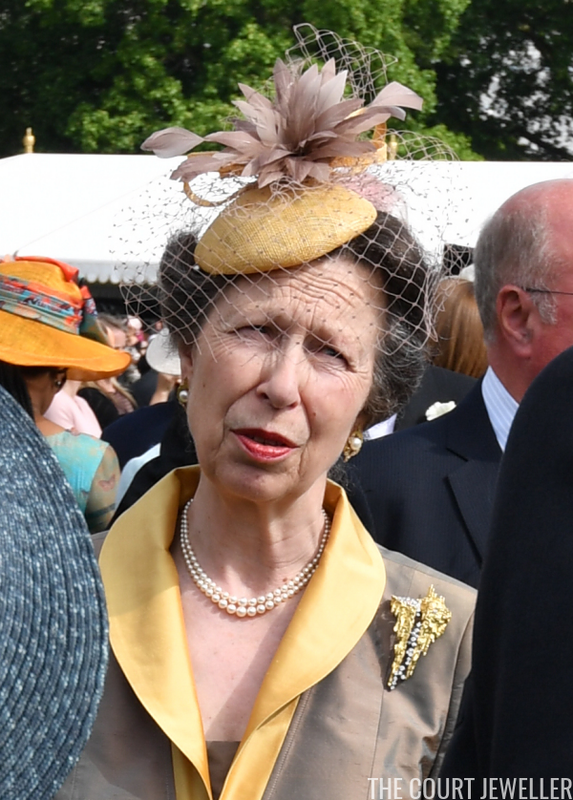 Princess Anne chose pieces from her collection of modern jewels, including her gold and diamond stalactite brooch by Andrew Grima. 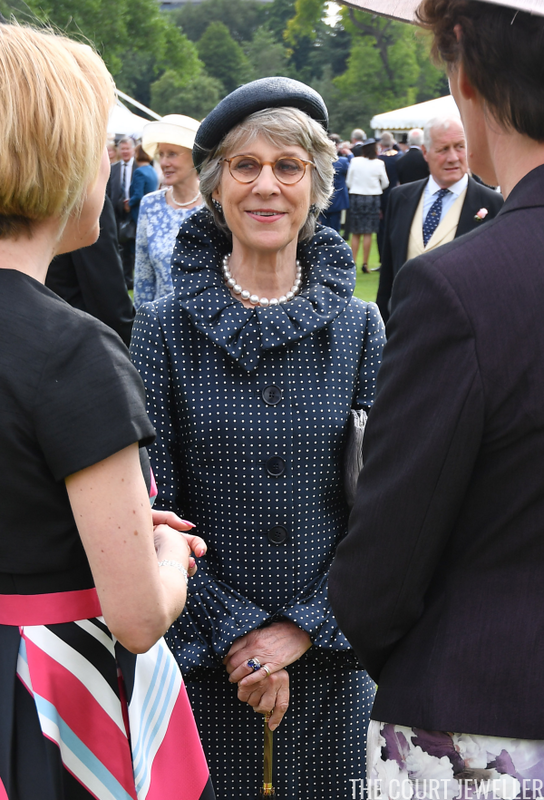 According to Leslie Field, the brooch has been in Anne's jewelry box since 1973; she received it as a wedding gift from her mother. She paired it for the party with her modern gold and pearl earrings as well as a classic pearl necklace. As usual, Prince Charles was also nattily attired and accessorized for the party. 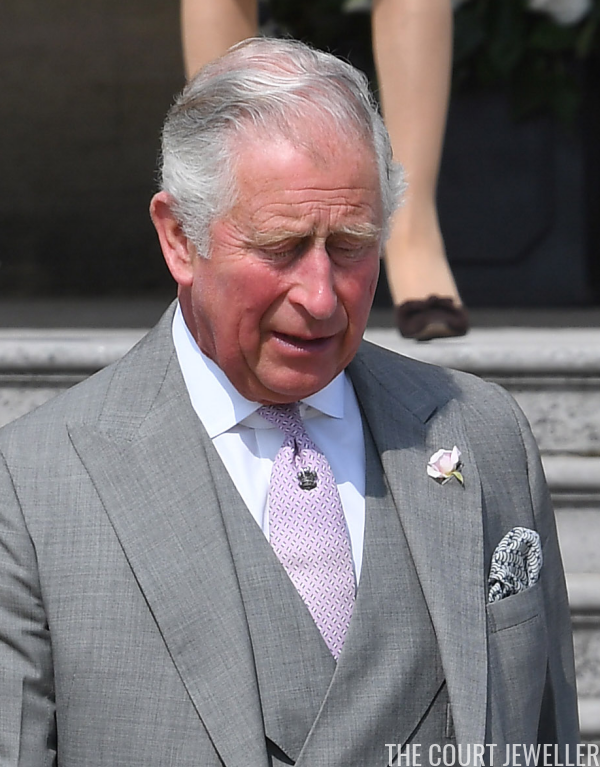 Have a look at his tie pin: it features a teeny Prince of Wales feather design.